This town is a National Monument and was declared a Typical Zone. It only 149 locals live. It is located 4392 meters high, 181 km from Arica, 3 kms. international road Arica - La Paz and 42 kms. Putre. Its pre-Hispanic origin and is situated on the ancient route to Potosi from Arica. In the sixteenth century arrived in the area evangelistic missionaries, who built numerous temples. 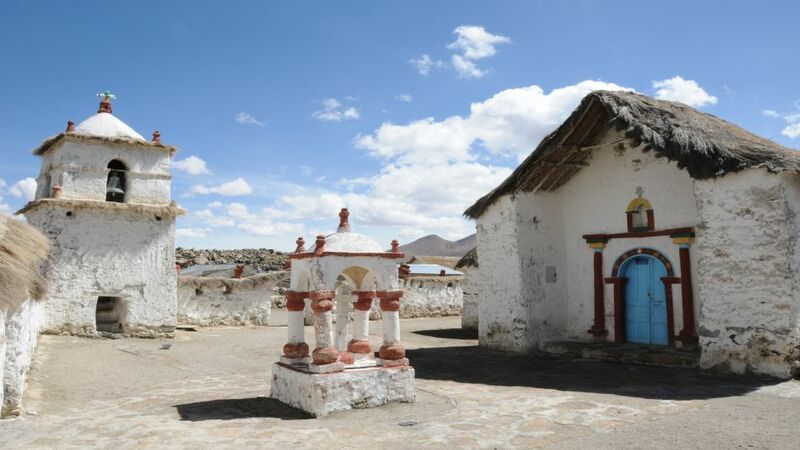 It has a school and church Parinacota (also a National Monument) and approximately 50 homes. The town is the Lauca National Park management and environmental information center as well as trails, picnic area, among others.